Osaka-based game company SNK Playmore, best known for its fighting games, is unleashing a whole slew of titles on the PlayStation Network. Titles include Fatal Fury, Alpha Mission II, The King of Fighters '94, Samurai Shodown, Baseball Stars Professional, Magician Road, Metal Slug, League Bowling, Super Sidekicks and Art of Fighting. Downloads start on December 22 and are available through the "Neo Geo Station" on the PSN. PS3 versions of the games are ¥900, while the PSP versions are ¥700. Many gamers probably already have many of these titles, but for those who do not, well, have a go. 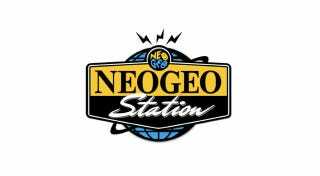 This year marks the 20th anniversary of SNK's Neo Geo, which was a cartridge-based gaming system for arcades and home consoles.